The Minimum/Maximum Nights plugin for Easy WP Hotelier makes it easy to set the minimum and maximum nights that your guests can stay in your hotel. 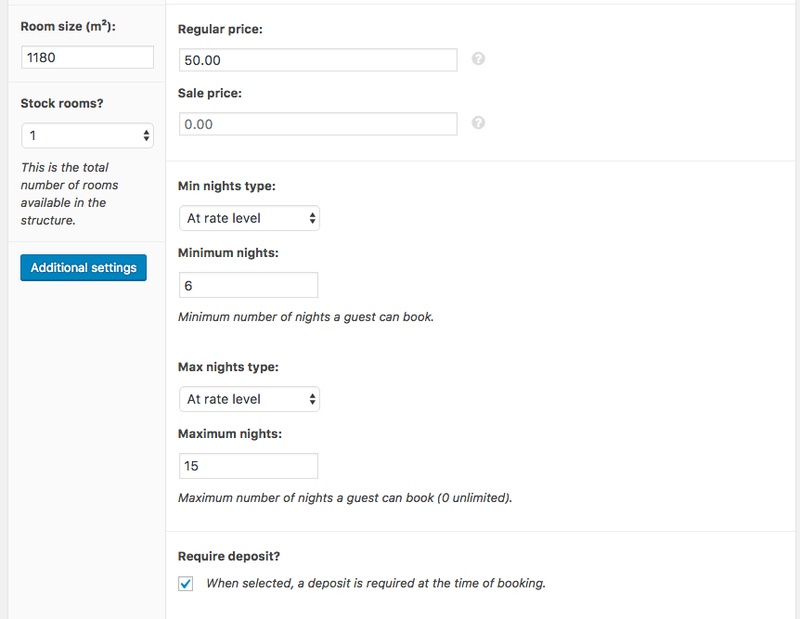 Easy WP Hotelier already provides a setting for that in the core free version. But the one included in the core is a global setting that affects all your rooms. With this extension you can set the minimum and maximum nights per room (standard rooms) or per rate (variable rooms). This give you an even more granular control over the room management. And allows you to set specific policies for a particular room or rate. For example, you may offer a discounted price for long term stays.